BizzNtech | Quake Playable on Google Android! Quake Playable on Google Android! 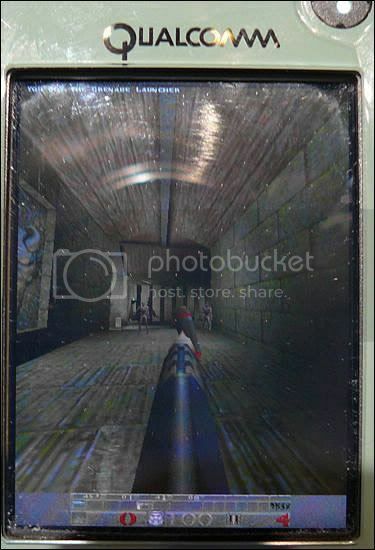 PC Mag reports that Qualcomm– a sample Google Android handset played an OpenGL version of Quake in 3D at this year’s CTIA. The phone was based on a 400+ Mhz MSM7201 chip set with the latest build of Android that was connected to AT&T’s UMTS network, and had new icons and applications, including significant changes to its internet browser. The report also stated that the game was running smooth with good frame rates. Half-Life 2: Episode Three by This Year End?